The integral method is a suitable calculation procedure for the determination of nonuniform residual stresses by semidestructive mechanical methods such as the hole-drilling method and the ring-core method. However, the high sensitivity to strain measurement errors due to the ill conditioning of the equations has hindered its practical use. 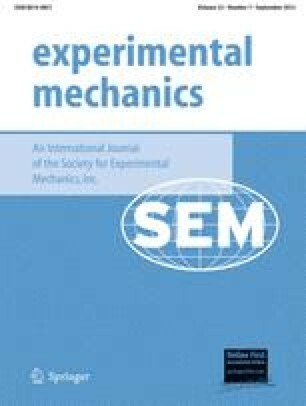 the analysis of the influence of the strain measurment error on the computed stresses carried out in the present work has showed that, given both maximum hole depth and number of total steps, the error sensitivity depends on the particular depth increment distribution used. By means of the matrix formulation, the depth increment distribution that optimizes the numerical conditioning is investigated. Numerical simulations and an experimental test have corroborated the best performance of the proposed step distribution with respect to the constant or increasing distributions commonly used.